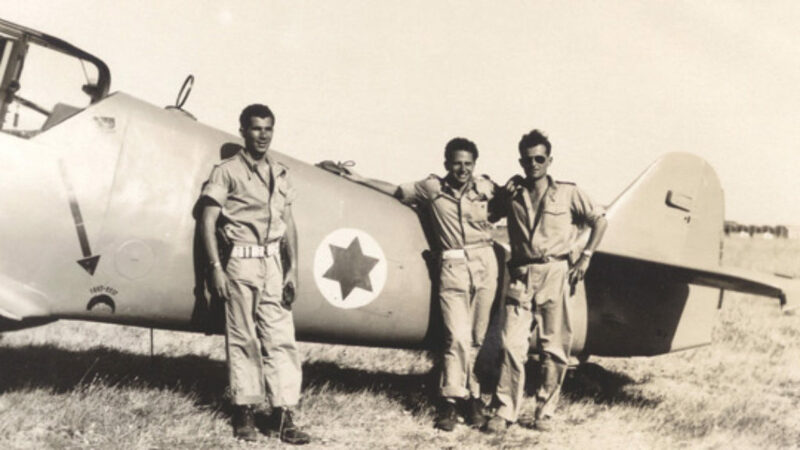 In the middle of the last century, a grim, bilingual pun circulated among American Jews: Hitler fell into the vasser and came out a Nasser (vasser is water in Yiddish; nasser is wet). It’s hard to see the Egyptian leader as a Middle Eastern führer when one finds him, near the beginning of Michael Doran’s exciting new book, hanging out in the apartment of a junior American diplomat in Cairo, eating hot dogs and watching Hollywood movies. 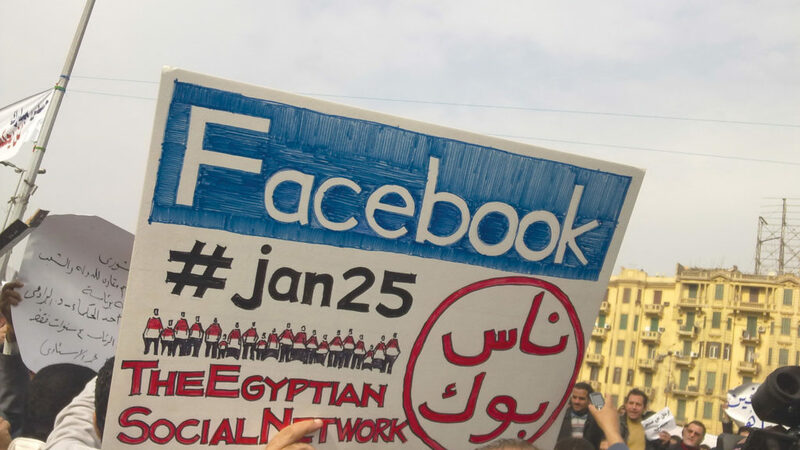 Yet even at that time, in 1953, the 34-year-old lieutenant colonel, behind-the-scenes leader of the military junta that had just taken charge in Egypt, appears to have been a master manipulator. He had no trouble convincing key American diplomats that Egypt would be a reliable ally, if only the United States would help it break free of the shackles of British imperialism. In 1953, even before the British-Egyptian deal had been struck, Dulles paid a visit to the Middle East that induced him to give up the “preconceived idea of making Egypt the key country in building the foundations for a military defense of the Middle East” against the Soviets. His subsequent attempt to construct a regional alliance in which Iraq was the principal Arab player outraged Nasser. 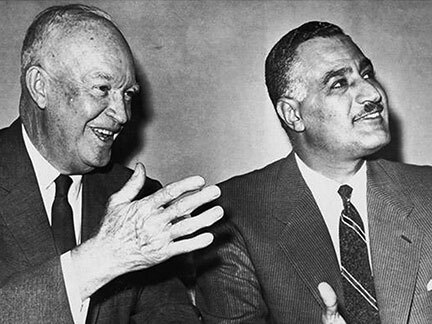 When the Egyptian president railed against the American plan, Dulles belatedly recognized the depth of Nasser’s ambition to be the undisputed leader of the Arab world—and went about trying to satisfy it. Things went from bad to worse. Nasser got closer and closer to the Soviet Union, while successfully deceiving many American bureaucrats into believing “that he, personally, was pro-Western but surrounded by more extreme elements” that he had to placate. Doran is at his best when he demonstrates precisely how Nasser manipulated senior CIA official Kermit Roosevelt and others into undermining Dulles’s first attempt to institute a more hardline policy toward Egypt. Convinced, the secretary of state offered, among other things, to help finance the Aswan High Dam, then still in its planning stages. Nasser’s move led, of course, to war. Doran retells the familiar story of the British-French-Israeli assault on Egypt three months later quickly. His interest is not the conflict itself but the American role in terminating it. Eisenhower, as he sees it, sided with the besieged Nasser not to win friends in the Middle East, as he had hoped a couple of years earlier, but to prevent creating more enemies, throughout “the whole Arab world.” To keep that from happening Eisenhower virtually forced the British to withdraw unconditionally from Egypt. Their quick compliance provides the occasion for one of Doran’s trademark witticisms: “The British Empire had come to its definitive end—first with a bang, then a whimper.” Less rapidly, but no less completely, Eisenhower forced the Israelis out of Sinai, though not before guaranteeing American support for Israel’s freedom of shipping through the Straits of Tiran and a UN buffer force between Israeli and Egyptian forces in Gaza. “If the Ike of 1958 had appeared earlier,” Doran asks toward the end of the book, “would he have really made a difference?” This is an excellent question, but I wish that he had preceded it with a couple of others: What would have happened if Dulles had determined on his 1953 visit to the Middle East that Egypt, as the most populous and strategically located country in the Arab world, should not be subordinated to Iraq but simply had to be the lynchpin of any regional defense organization? Could the hot dog-munching, movie-going young colonel have become our man if we had tried harder to accommodate him at the very outset? These are questions that Doran doesn’t ask, and what he does tell us early in his book about Nasser’s articulation of a neutralist and pan-Arab outlook in 1954 does not quite suffice to answer them. There is, in fact, little reason to think that anything the United States could have done the previous year would have altered things. But the argument of Doran’s book would have been stronger if he had provided his readers with a more complete view of Nasser’s fully shaped anti-imperialistic outlook, even before he came into contact with American officials, and shown that his views were always incompatible with any participation in a Middle Eastern coalition orchestrated by them. The journey that Doran actually does take into the land of “what if” does give us a glimpse of a possible mid-century Middle East in which the United States has turned Nasser into a loser instead of allowing him to become a winner. 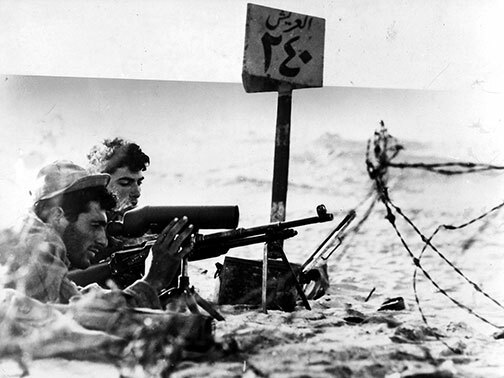 It is one in which Eisenhower makes it possible for the British, French, and Israelis to refuse to evacuate Egyptian territory until Nasser makes concessions that would not only “have prevented Nasser from plausibly claiming that he had won an historic victory,” but might also have prevented the development of the conditions that led to the outbreak of the Six-Day War. It is one, moreover, in which forces inspired by Nasser would not dare to overthrow the pro-U.S. Hashemite regime in Iraq. Doran is too sophisticated to think that a sounder American policy would necessarily have guaranteed that things would turn out this way. A hard-headed strategic thinker, he is not trying to make us dream about what might have been but teach us—or, more precisely, the policymakers who will and should read his book—how to think about fundamentally implacable and dishonest adversaries with whom the United States has to deal. (Interested readers may want to reread his recent and already prescient criticisms of President Obama’s Iran deal with this history of Eisenhower’s failed gamble in mind.) Doran’s diplomatic lesson is clear (if hard to follow): Don’t let them con you. Even those who might quarrel with his analysis of the past ought to see the wisdom in such advice.